When I rowed in high school, I had no idea that anybody rowed after college. Clearly, it happens. Rowing has four main categories of athlete: junior, collegiate, open and masters, in approximate age order. Each of these categories has different competitions and seasons. The junior athletes row for their high school or a local club team. Rules vary, but these athletes are almost exclusively in high school, with a few programs accepting 7th and 8th graders for learn-to-row type programs. Many junior athletes start their fall season in August and September, training for longer head races typical of September, October and November (where weather allows). Others will start rowing in the early spring months. Junior athletes see the culmination of their season in May or June with regional and national championships, respectively. The best athletes are often invited to Junior National Team camps in the summer to compete for Team USA on the international racing circuit. All of these major races are overseen by USRowing. Many juniors also continue to row for club programs during the summer months. Although collegiate athletes also start in September, they compete in a different arena. Collegiate programs fall into a wide variety of categories, from club to varsity teams, and with different combinations of genders and weight classes practicing together. For collegiate programs, there are three major year-end regattas: NCAAs, IRAs and Dad Vails. Only openweight women's programs fall under the NCAA, and the top school from each conference, plus a number of at-large bids, are invited to compete. The NCAA championships have categories for DI, DII and DIII schools. The IRA championship regatta is the equivalent of NCAA for the remaining three weight and gender classes: lightweight women, lightweight men, and heavyweight men. The event is invitation only, and based on season performance. For many small and young programs, the Dad Vail regatta marks the season's end, with competitors from all over the country competing. Regular attendance at NCAAs and IRAs precludes crews from competing at the Dad Vail regatta. Post-collegiate athletes divide themselves into two categories: open and masters athletes. Unlike scholastic athletes, these rowers compete primarily in the summer season. Although open competition is just that—open to anyone—it has de facto become the racing venue for elite athletes. 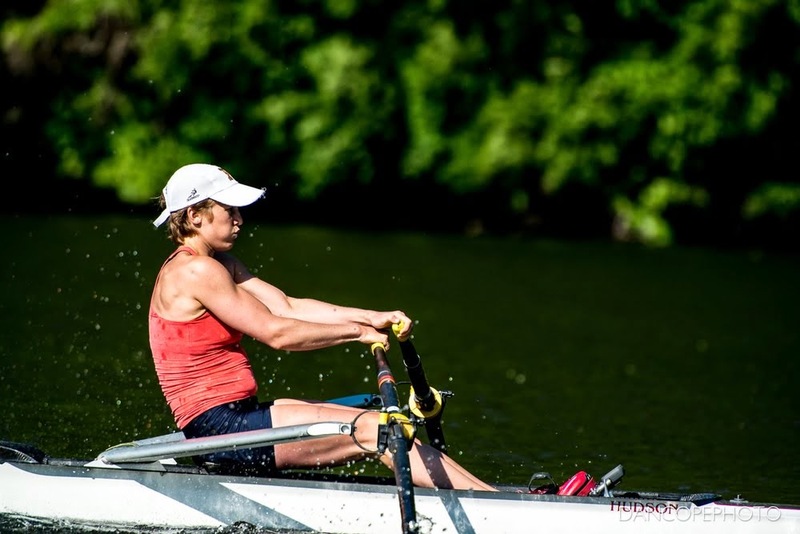 A number of events key to elite athletes span the seasons, from the October Head of the Charles, to the late spring National Selection Regattas and speed orders. For the top level athletes, the summer is spent on the international racing circuit, competing at World Cup and World Championship Regattas. The open rowers can be found throughout the country, racing for clubs like CRC, Riverside, Penn A.C, Seattle RC and more. The best of these athletes often also have the choice of training at an official USRowing training center. Masters athletes also compete year round, with long fall head races and shorter summer sprint races. In fact, the masters racing calendar is the most sensible of all. The year begins in the fall with regional head races and the major Head of the Charles regatta, all long races. Winter is spent preparing for the San Diego Crew Classic, a 2000 meter race. This is followed by a summer of 1000 meter racing, culminating in regional and national championships in mid-summer. Masters athletes are divided into age brackets. Within each bracket, the oldest boats are given the biggest headstart. For example, a boat with an average age of 64 might race a boat with average age 62, and simply start a few seconds earlier. Individual regattas choose to include certain classes of athletes. The Head of the Charles is all-inclusive, whereas many local regattas cater to only high school or collegiate athletes. And oftentimes, the "open" category at regattas is populated by master, junior and collegiate athletes looking for better competition. But, for better or worse, that is the lay of the land (water? ).